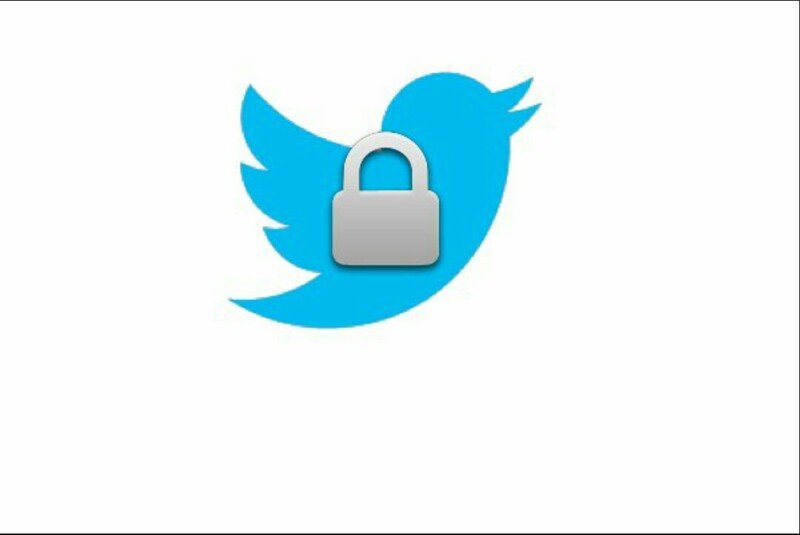 One of the world's strongest and most popular social media platform has advised its users to change their passwords. The message was left on individual accounts on Thursday night following a recently identified bug that could have tampered with the secret password masking. 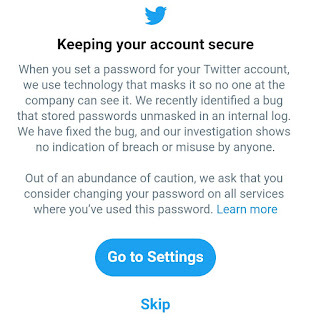 According to the report, this might post no threat as the error was corrected as soon as it was detected, but users were advised to change their passwords to be at the safer side. 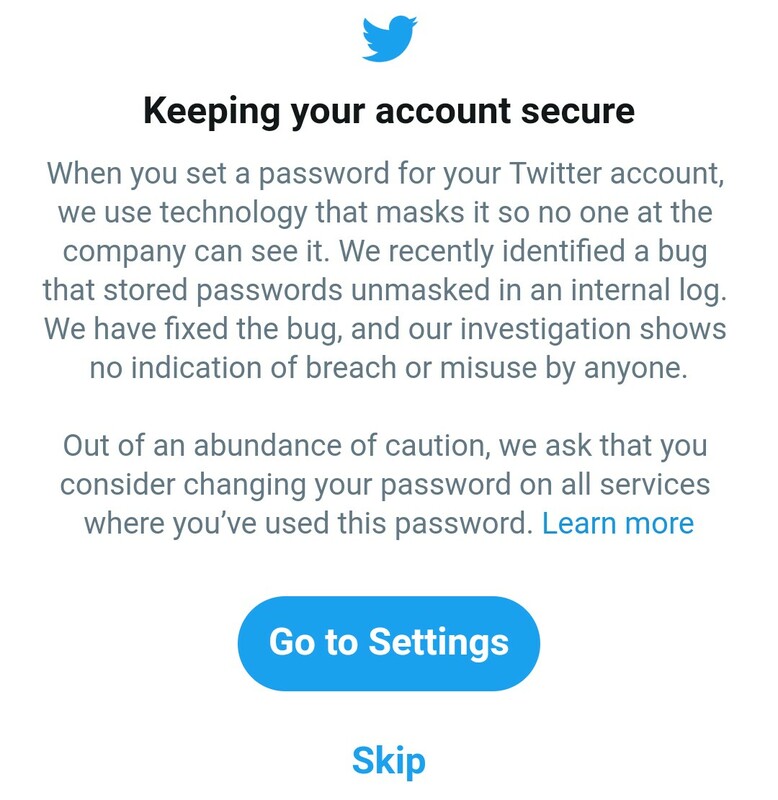 Out of an abundance of caution, we ask that you consider changing your password on all services where you’ve used this password.